Barrie founded Crimson Tide in 1996 and he formulated the ideas behind the Group’s mobile data solutions in 2003, recruiting the current management team in 2004. 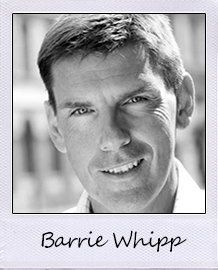 After a career in finance, he founded the financial services arm of Tiphook plc. He later became Group Managing Director of IAF Group plc which was subsequently admitted to the Official List in 1994. He has served as a non-executive director of Wills Group plc as well as a number of private companies. He is responsible for setting the Group’s vision and strategy as well as setting goals and targets for the Board. Steve was appointed as Crimson Tide’s Chief Executive in April 2004 but has subsequently changed role within the company to be Finance Director. Steve is a Certified Accountant with over 20 years experience at Board level, 18 years as a CEO. After training as an accountant working for Shell International plc, he joined Tiphook plc in 1988 where he became Group Financial Controller and later Finance Director of the trailer division. In 1993 Steve was appointed Managing Director of the rail division and in 1996 led the management team in a £30m management buyout working with Prudential’s venture capital arm and HSBC. The business was sold two years later to GE Capital where he stayed on as Managing Director of GE’s European rail business and gained further experience in negotiating and integrating acquisitions. Luke joined Crimson Tide from university in July 2005 having achieved a Masters in Advance Computing Science and has been regularly promoted since. He has made an invaluable contribution to the development of our mobility solutions and has been fully involved in many other software developments delivered to customers. Luke joined the Board in July 2012 as Technical Director, progressing to Deputy CEO and in 2018 becoming CEO. 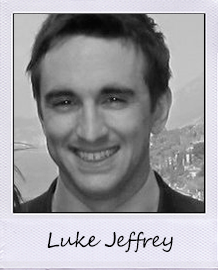 Luke is responsible for the continuing evolution and implementation of our software products, services and the business. Toby Joined Crimson Tide in October 2017, having held numerous sales and account management roles in his career, most recently, since November 2015, as Enterprise Account Director for the OpenText Corporation, a global leader of global enterprise information management solutions. Prior to that Mr Hawkins worked as a sector account manager for TestPlant Limited, a UK technology company which delivers service assurance to digital businesses. Between 2008 and 2014 Mr Hawkins was the Commercial Director for Stevens Group Limited which develops enterprise and SaaS software solutions. 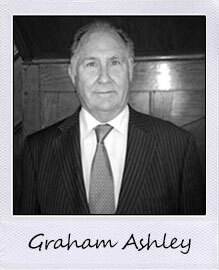 Mr Ashley has over 40 years experience in stockbroking and corporate finance and was a founding director and shareholder of Greig Middleton Holdings Limited (stockbrokers). After the merger of Greig Middleton Holdings Limited with Gerrard Limited, he became a director of Gerrard Limited and following its acquisition by Old Mutual Securities Limited, a Senior Corporate Finance director of Old Mutual Securities, which was subsequently acquired by Arbuthnot. Mr Ashley has advised on acquisitions and disposals and fundraising across a wide range of sectors and industries. Robert was appointed a Director of the Company in March 2015. In 1989 he became a founding shareholder in Todd Meat Trading Co Ltd and is a director of that company. Mr Todd has been a director of United Foods Direct Ltd. since 2012. The Directors are responsible for keeping proper accounting records which disclose with reasonable accuracy at any time the financial position of the Group and to enable them to ensure that the financial statements comply with the requirements of the Companies Act 2006 and Article 4 of the IAS regulation. They are also responsible for safeguarding the assets of the Group and hence for taking reasonable steps for the prevention and detection of fraud and other irregularities. The Group has two Board committees, which operate within defined terms of reference. The Audit Committee, comprising Mr Ashley (Chairman), Mr Goodwin, Mr. Whipp and Mr Todd, is responsible for reviewing the full and half year results. In addition, the Audit Committee monitors the framework of internal control. The Remuneration Committee, comprising Mr Todd (Chairman), Mr Ashley, Mr Whipp and Mr Goodwin, reviews the remuneration of the Executive Directors and any senior executive of the Group and considers the grant of options and payment of performance related bonuses. 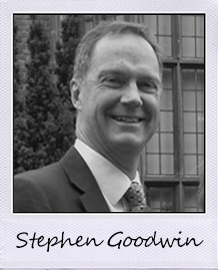 *Mr. Goodwin also has an interest as a trustee in 9,150,000 Ordinary Shares of £0.01 each.